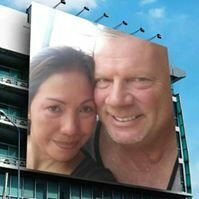 My Filipino wife has misplaced her passport and submitted a replacement passport application at the DFA office, Cagayan De Oro, Phillipines. She's definitely going to need that and we have already submitted our I-30 spousal visa application. It's been 5 months. The application was approved and she paid the extra amount to have it Courier to her home address but nothing so far. Is there any way to call them ? Does anyone have special numbers that isnt on the internet to check on the status of her passport application? Or do we have to go in person to Cagayan De Oro ? So far, that they do not answer the phone at any of the numbers. We've tried everything. 5 months seems way too long and that there's something wrong. This is unusual! I lost my passport also last time but the replacement took same process if you apply for a new one. Regular processing or the one they called it rush just only less than a month. I'd rather visit to their office and check what happen. They might lost the original request. I think now she will have to take a trip to the DFA office in person and find out what's going on. Is it just me or is the Philippines Civil Service completely inept and very slow at times? They are all slow. If you're not on top of things they won't do certain things. Like when I got married there and paid for expedite processing of the marriage contract to become a certificate. It was still at the brgy hall until I had my wife inquire about a month and half later. That's when I told her to be pushy and see if I could send her to Manila to get it processed faster. Pretty much wasted two and half months before getting the copy of the certificate so I could file. Moved from IR-1/CR-1 Progress Reports to Philippines regional forum. 5 months is totally too long. My wife renewed her passport while in the Philippines two years back, she did the expedite and received her passport within 4 weeks. Yes for sure go to DFA in person. The whole Filipino Passport process is crazy. Mary applied for a new one in her married name at the Mexico City embassy on July 3rd. Left a prepaid DHL envelope there. We expected a few months. Didn't pay an rush or expedite. It was issued July 11th and delivered a week later. Half the world away! It's been 5 months. The application was approved and she paid the extra amount to have it Courier to her home address but nothing so ﻿far. Was she not given a claim stub with a tracking number when she applied for her replacement passport? She told me she got a receipt for her renewal application but she had to give it up to some additional Department in order to have her passport delivered to her. It didn't sound right to me either. That is not correct for sure. I will bet my wife still has her receipt from renewing her passport, and she had expedited delivery. If your wife opted for courier delivery, she would have been given a claim stub with a tracking number. When I had my passport renewed, I remember the courier company staff at the DFA passport center giving explicit instructions to applicants not to lose their claim stubs. Any chance your wife still has the claim stub somewhere in her purse or something?